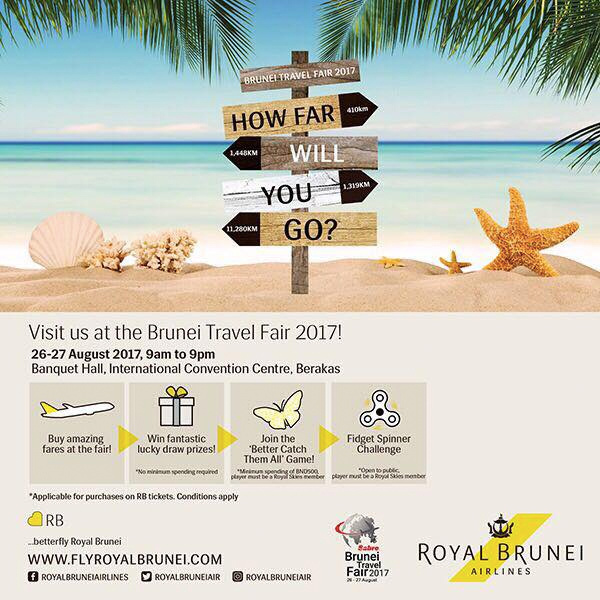 As one of the representatives from Royal Brunei Airlines said, it’s a better deal than the normal packages as you can save almost $100. 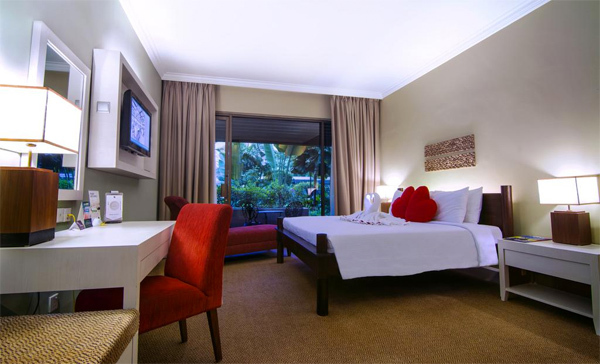 It’s a real steal to get BND 388 for a 3 Days 2 Nights with accommodation stay, return economy airfare on RB, daily breakfast, return airport transfer and even private transfers to Bukit Jalil Stadium. 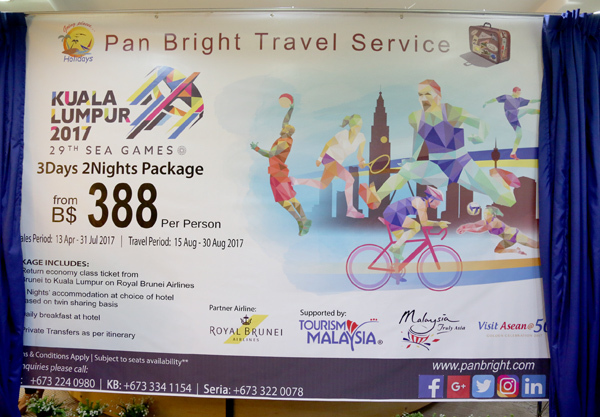 All these package is only applicable from Pan Bright Travel Service and it’s called the “3 Days 2 Nights Kuala Lumpur SEA Games package”. Another incentive is that Pan Bright Travel Service is giving BND 20 discount for first 20 pax who book this package. 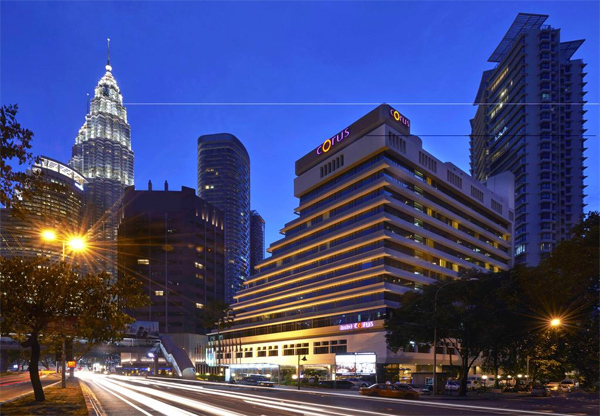 The hotels that are packaged in the deal are Star Points Hotel Kuala Lumpur (3 star hotel with 7.7 rating in booking.com) and Corus Hotel Kuala Lumpur (4 star hotel with 8.0 rating). I’ve stayed at Corus Hotel before I kinda like it. The selling period is effective from today till 31st July 2017 for travel from 15th August to 30th August 2017. For bookings, you can contact Pan Bright Travel Services at 224 0980, 334 1154 and 322 0078 for their package. Launching the event was His Excellency Datuk Ghulam Jelani bin Khanizaman, High Commissioner of Malaysia to Brunei Darussalam. Also present were Hj Ibrahim Seddiqi bin Talib, Director of Tourism Malaysia (Brunei), Mr. Brett McDougall, Executive General Manager – Sales and Marketing, Royal Brunei Airlines and Ms. Nur Khadijah, Sales and Business Development Manager of Pan Bright Travel Services. The event was also witnessed by local coaches, athletes and representatives from the Ministry of Youth, Culture and Sports. 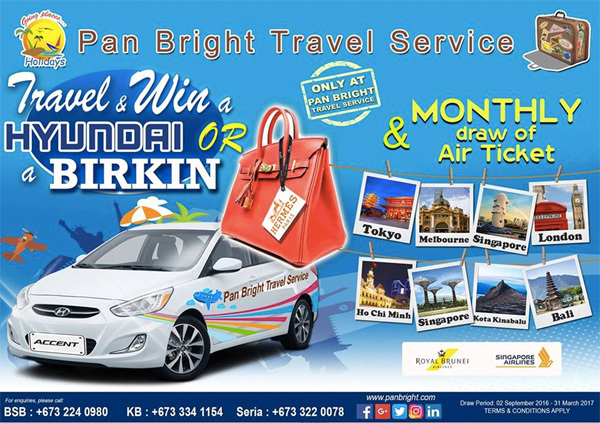 Pan Bright Travel Service has a very good track record in providing quality and cost effective travel services to their clients in Brunei Darussalam. It’s no surprise that they received the award from Royal Brunei Airlines recently for being the “Top Selling Kuala Lumpur destination” during the 12th Belait Travel Fair and Brunei Travel Fair (2016). 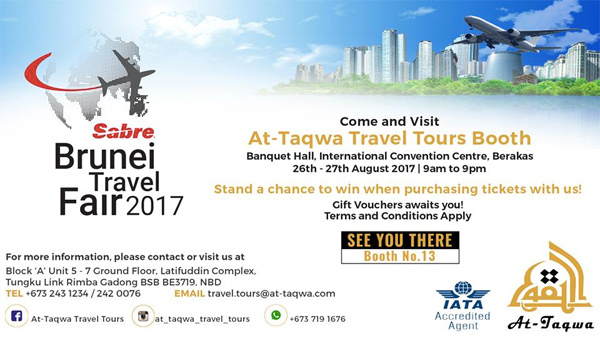 Did you know that they are also one of the nominees under the Best Foreign Tour Operator (Southeast Asia) for Brunei Darussalam category at the 19th Malaysia Tourism Awards 2014/2015? SEA games 2017 will again be the highlight for 2017 and this package is a good incentive for Bruneians to fly over to KL and also enjoy the SEA Games experience in Kuala Lumpur. Will I travel to KL for the SEA Games? We shall wait and see. So do call Pan Bright Travel Services at 224 0980, 334 1154 and 322 0078 for their packages. One of the hotels I’ve stayed before – Corus Hotel. My recommendation. The look of the room at Corus Hotel. 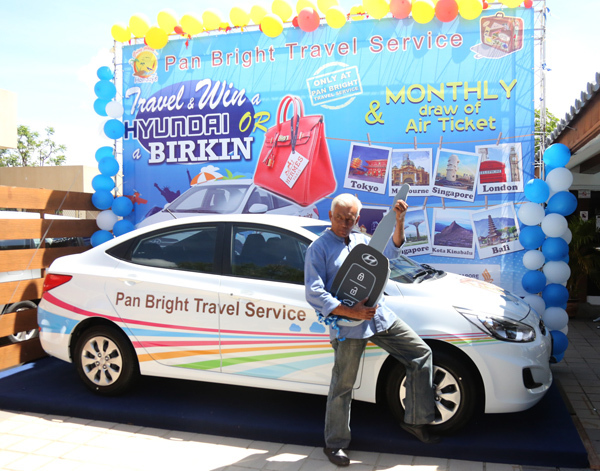 Congratulations to Md Taha bin Ladin, who chose the Hyundai Accent over the Hermès Birkin, after winning the grand draw of Pan Bright Travel Service “Travel & Win Promotion” Grand Draw. 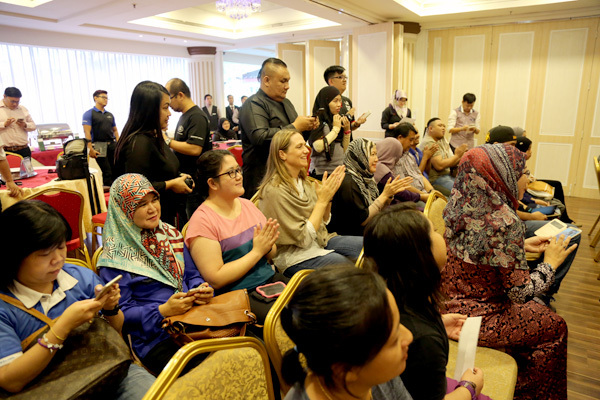 The event took place at Deli Bites at Royal Brunei Recreational Club. 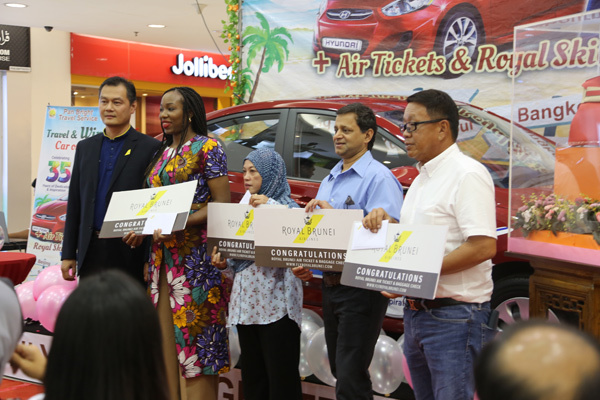 The grand prize was sponsored by Pan Bright Travel Service whereas the consolation prizes were sponsored by Royal Brunei Airlines and Singapore Airlines. 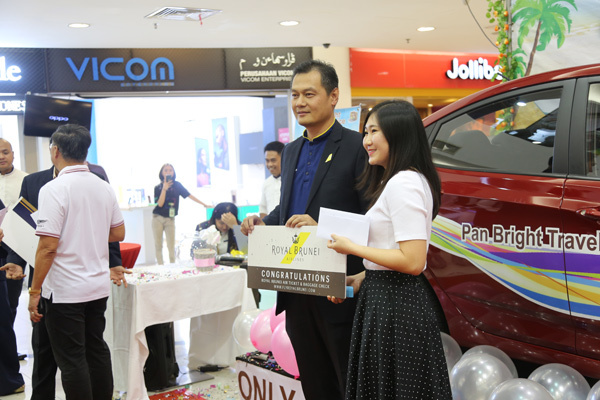 The second place winner, Lilies Indah Turwahyuni, could have won the grand prize but settled for a trip to London (economy class) and the prize was presented by Aji Puteh, Head of Asia Sales of Royal Brunei Airlines. He also presented the third place winner who was Lam Mei Choi, winning a return trip to Melbourne (economy class). The other winner was Goh Nyuk Chen, represented by Nurul, who won a trip to Tokyo via Singapore Airlines. The mock ticket was presented by Mr. Aldrin Arumugam, General Manager of Singapore Airlines (Brunei). Pan Bright Travel Service would like to extend their appreciation to all the customers for their continuous support. The lucky draw promotion ran from 1st September 2016 to 31st March 2017. Pan Bright Travel Service has been making name for its great marketing gimmick. 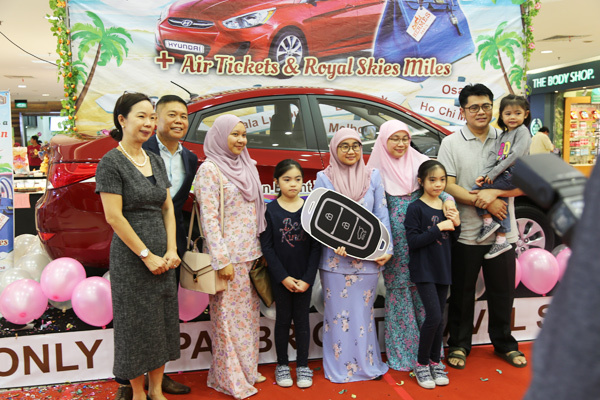 Last month, Pan Bright Travel Services won the prize for top-selling travel agent during the 12th Belait Travel Fair 2017 that happened earlier in March. Top-selling destinations namely Kuala Lumpur, London and Singapore were purchased by customers from Pan Bright Travel Services. Keep up the great work, Pan Bright. You can follow them on their social media accounts on Facebook and @panbrighttravel instagram. Lilies Indah Turwahyuni, the second place winner, winning a flight to London. A Hyundai or an Hermès? 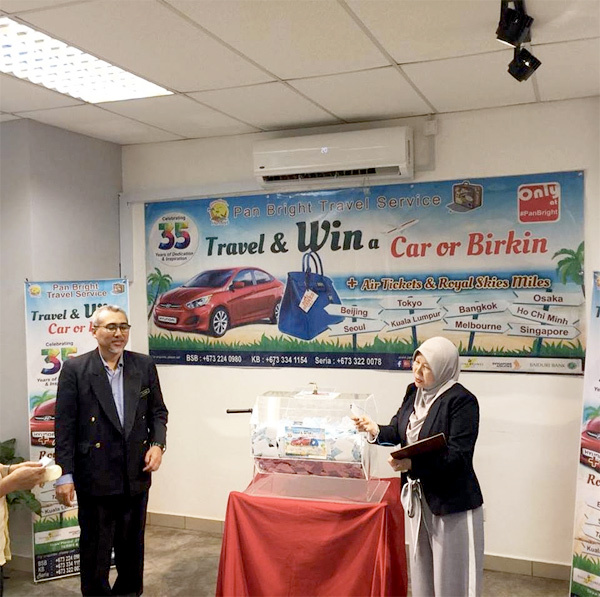 A pre-selection for 4 lucky winners were held at Pan Bright Travel Service, Bandar Seri Begawan branch office earlier this week. One of the 4 winners will have a choice of driving away either a Hyundai ‘Accent’ car OR bring home an exclusive Hermès ‘Birkin’ bag at the Grand Draw which will be held on the 07 April 2017. 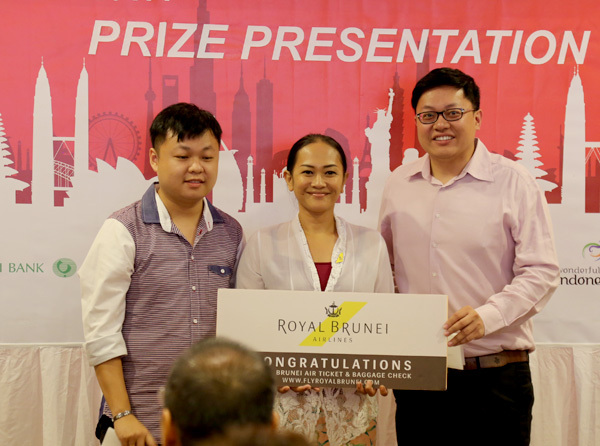 The other 3 prizes are return economy class ticket from Brunei to London & Melbourne, courtesy of Royal Brunei Airlines and a return ticket to Tokyo, courtesy of Singapore Airlines. 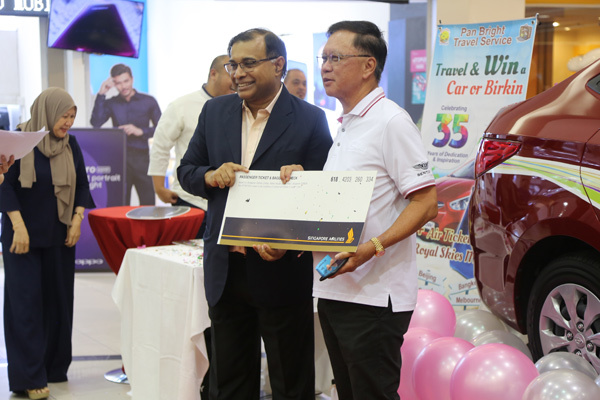 The 4 lucky coupons were selected by Awang Aji Putih, Head of Asia Sales of Royal Brunei Airlines and Mr. Aldrin Arumugam, General Manager of Singapore Airlines. Members of the media and the management of Pan Bright Travel were also present to witness the pre-selection draw. This lucky draw promotion ran from 01 September 2016 to the 31 March 2017. Pan Bright Travel Service have selected their October lucky draw winner on the 02 November 2016. 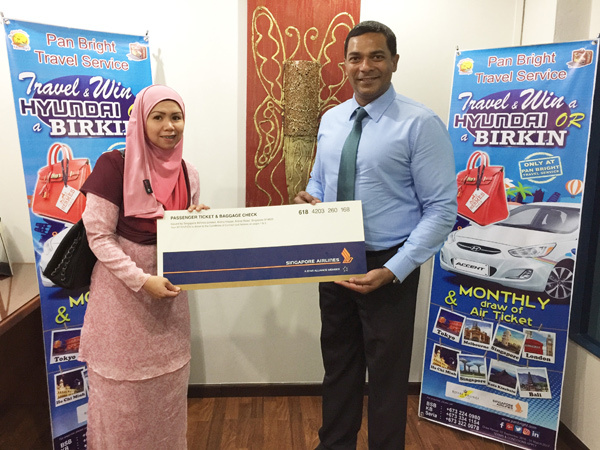 The lucky coupon was drawn by the General Manager of Singapore Airlines, Mr. Aldrin Arumugam witnessed by Singapore Airlines Head Of Sales Madam Wong Siaw Ling. 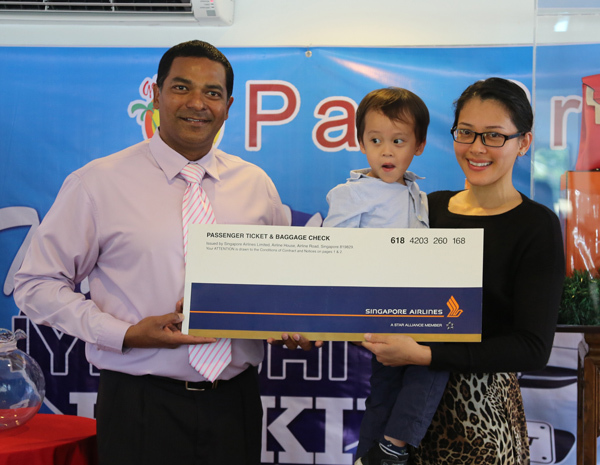 A prize presentation was held at Pan Bright Travel office in Bandar Seri Begawan earlier today by Mr. Aldrin Arumugam to the representative of Mr. Chin Yun Wui who won himself a return economy class ticket to Singapore sponsored by Singapore Airlines. This is the second series for the monthly lucky draw promotion where customer stands a chance to win monthly air ticket to either Kota Kinabalu, Saigon, Bali or Singapore from September 2016 to February 2017. The Grand prize will be either a Hyundai ‘Accent’ car OR an exclusive Hermès ‘Birkin’ bag which is being sponsored by Pan Bright Travel. Other prizes up for grabs include air tickets to London, Melbourne and Tokyo are kindly sponsored by Royal Brunei Airlines & Singapore Airlines. For more enquiries regarding the promotion, you can contact Pan Bright Travel’s offices at 2240980 for Bandar Seri Begawan, 3341154 for Kuala Belait or 3220078 for Seria. The lucky draw promotion starts from 02 September 2016 to the 31 March 2017. 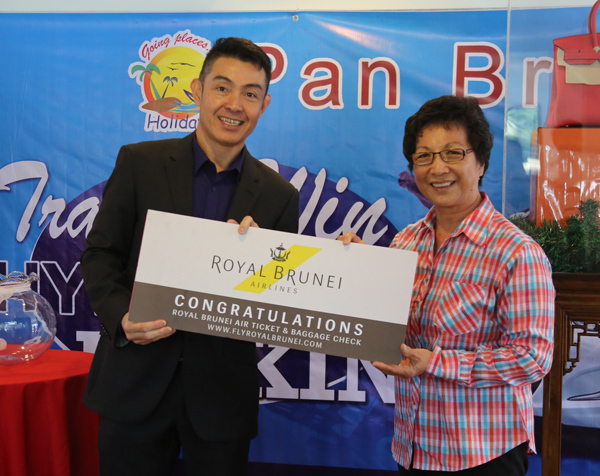 Jonathan Chua won a BND 10 rare fare while Thanis Lim won a BND 50 rare fare sponsored by Royal Brunei Airlines. 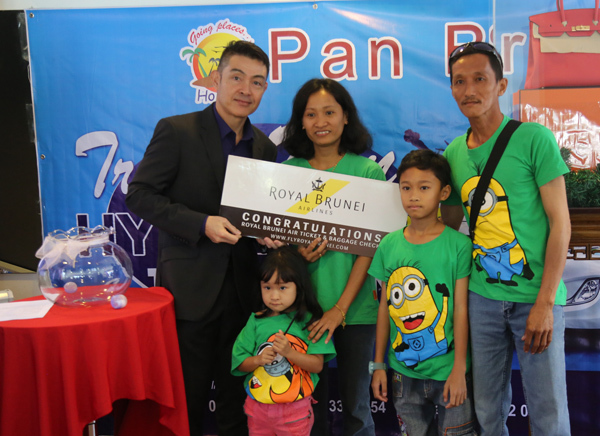 Azhani Daniel, Head of Corporate Communications of Royal Brunei presented the prizes. 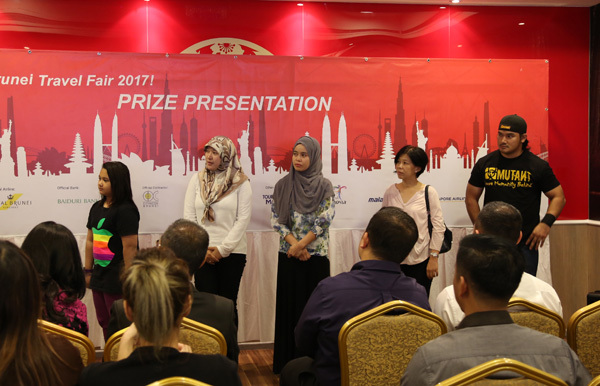 The finalists were one of the 300 entries that took part in the pokemon challenge during the Brunei Travel Fair 2016 at Centrepoint Hotel. 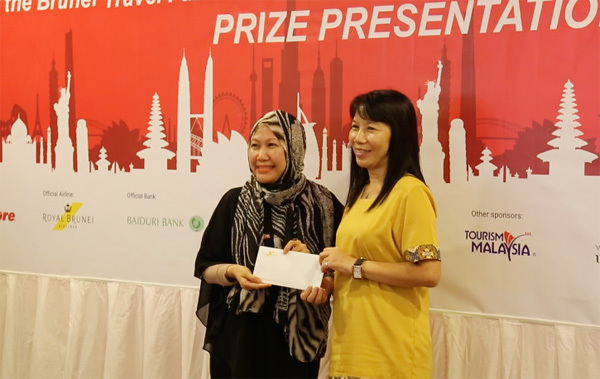 Last week, Sabre Travel Network (Brunei) Sdn Bhd held a prize presentation to fete the winners of the Brunei Travel Fair 2016 which took place at Dynasty Restaurant. The travel fair itself drew more than 12,000 visitors in early September. There were many categories that many travellers are entitled to win. 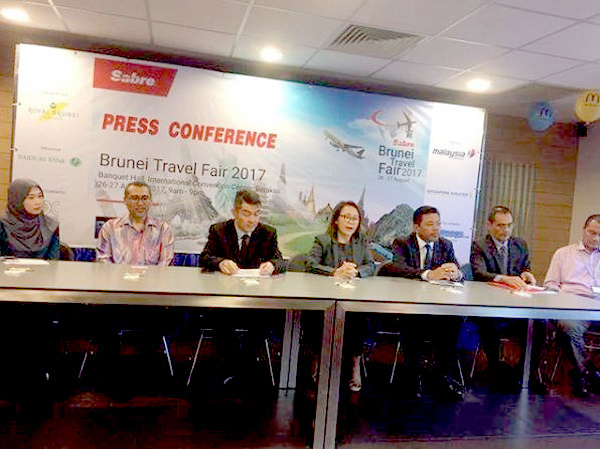 Two categories from Royal Brunei Airlines, one from Sabre Travel Network and one of Tourism Malaysia Brunei. 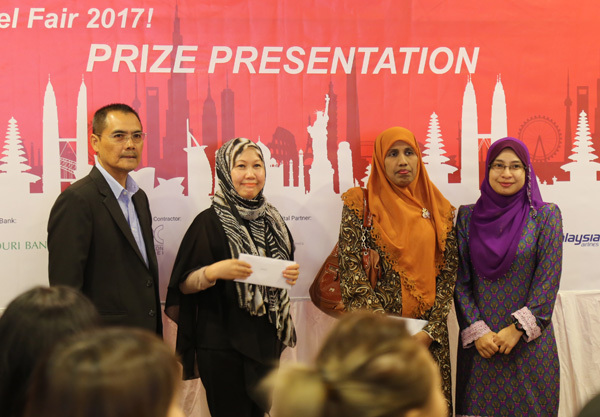 Present during the prize presentation was Abd Halim Hj Abd Rahman, Senior Manager, Sales and Marketing of Sabre Travel Network. He highlighted that even though there was a reduction in number of visitors, there was an increase of bookings during the three day period. The youngest winner was Arisdiana Amran who is 11 years old. She won herself a two return ticket to Melbourne. Woohoo. She was a lucky winner who purchased a ticket from Century Travel Centre. 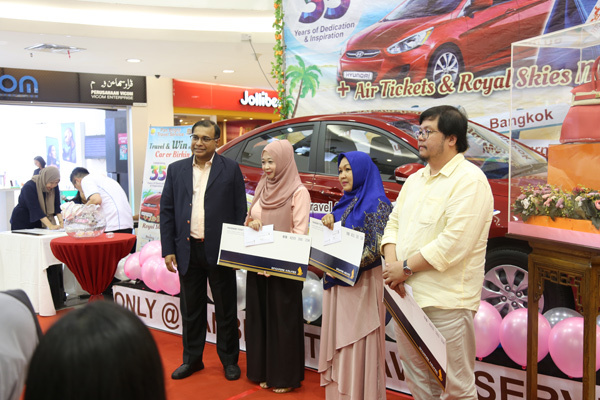 Dk Siti Khairunisa Akmal Pg Kamaludin won a business class return ticket to Ho Chi Minh and Lim Siong Ngoh won a two economy class return tickets to Dubai. 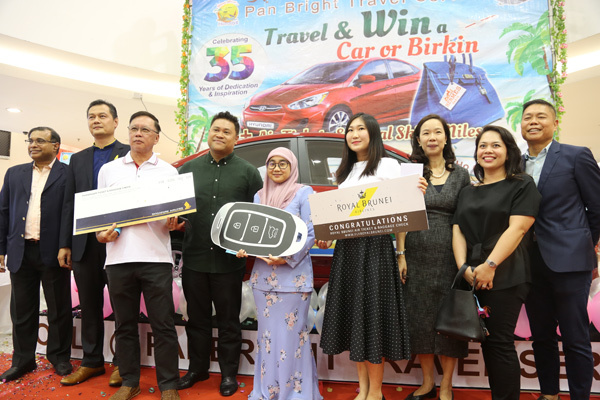 Hasrinie Awang Sayang won a three-day and two-night stay at Riani Deluxe at Turi Beach Resort in Batam, while Rabiatul Adawiyah Hj Damit received one Royal Skies membership upgrade. 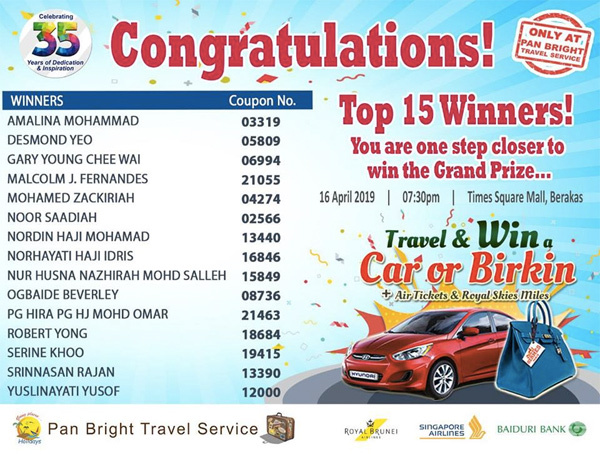 The finalists for the Royal Brunei Airlines return ticket. 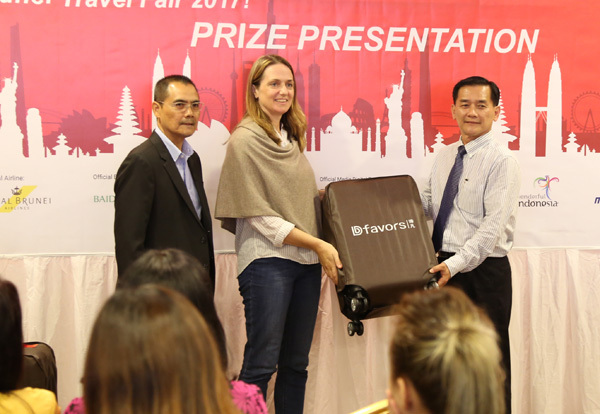 For the GoPro Hero4 and Dfavors Exclusive Travel Luggage, the prizes were sponsored by Sabre Travel Network Brunei. 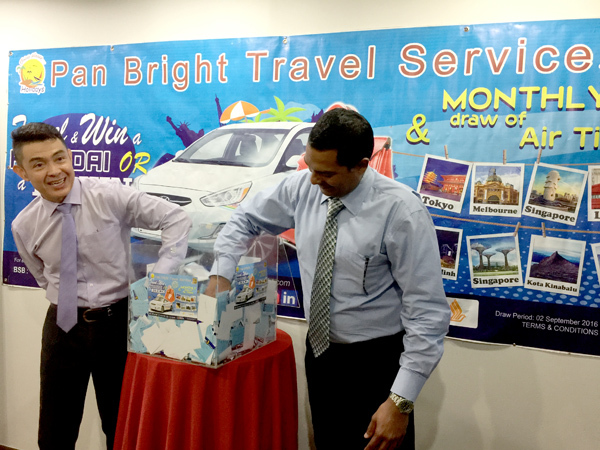 Mood Sahriman Md Salleh won the GoPro Hero4 and he bought his ticket from Pan Bright Travel Service. Julia Morel, Noorhayati Zabidi and Nurul Adila Othman won the luggage. 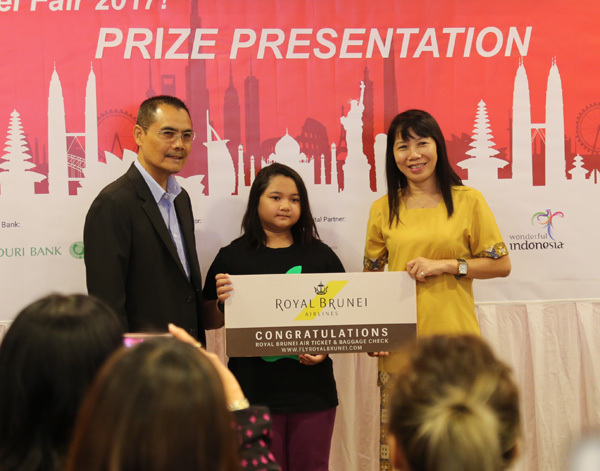 As for the Pokemon draw, the flights were sponsored by Royal Brunei Airlines and they had what they call rare fares worth BDN 10, BND 25 and BND 50 to any regional destination of choice. Interesting. 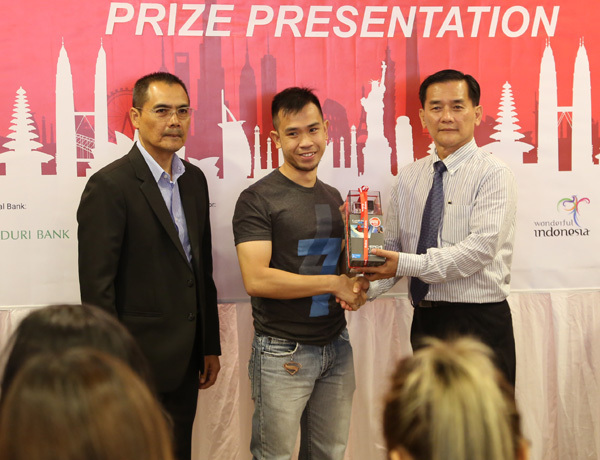 Thanis Lim won a BND 50 fare, Imaduddin Mumin won a BND 25 fare while Jonathan Chua won a BND 10 fare. 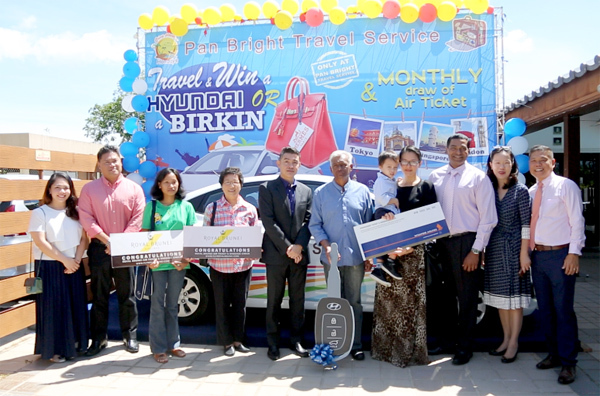 Malaysia Airlines also have their lucky draw and Mr. Ventakesh Marakutty Santhanam won a flight to Phuket while Ms. Muthu Muhammad Nachiar Mohideen Maraicair won a flight to Denpasar. 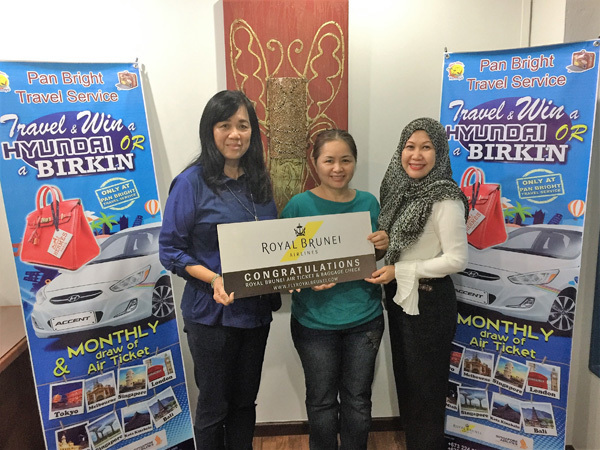 Noor Khadijah Hj Omarali won the Royal Brunei Airlines instagram competition and she won herself a flight to Jakarta.